These unique pars are ‘modular’ in two different ways. First, the main body moves – pulling the LEDs inside the casing – so that a snoot can be quickly and easily created to eliminate side glare if required in a particular situation. Second, the black metal outside casing can easily be removed and replaced with a pearl white housing kit (sold separately). 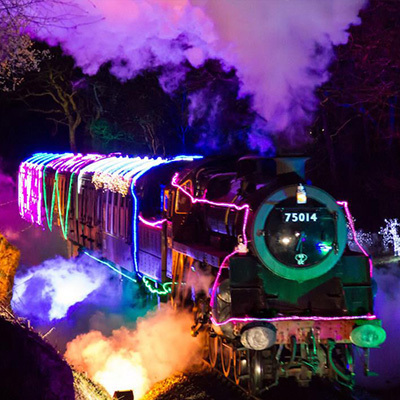 This means that DJs and event companies can invest in just one set of LED pars but have the flexibility of using them in either white or black depending on the requirements of each event or project. Four fixtures make up the MOD Series, each with the same pioneering design but with a different configuration of LEDs. 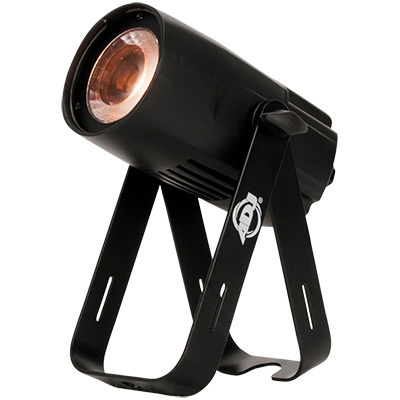 The entry-level MOD QA60 features four 15-Watt 4-in-1 RGBA LEDs for a total power output of 60W. 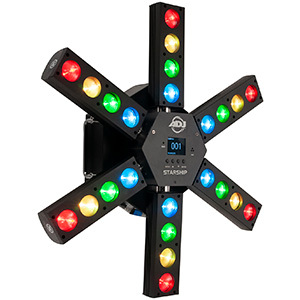 Offering a diverse palette of colors, this affordable fixture is ideal for a wide variety of stage, dancefloor and venue lighting duties. 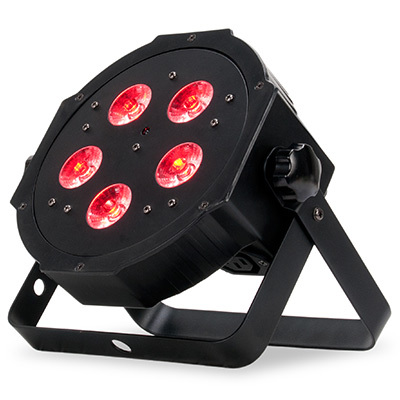 For larger events, when increased brightness is required, the MOD QW100 boasts a total of seven 15-Watt 4-in-1 RGBW LEDs creating a total power output of 105W. The use of a white LED element for this model in place of the amber featured on the QA60 also allows for intense cool white washes of light to be created. 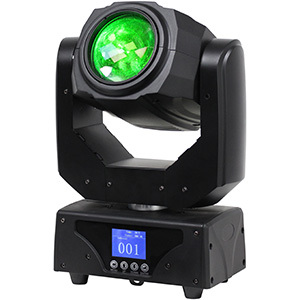 Also offering a total power output of 105W, the MOD TW100 makes use of 4-in-1 CW/WW/WW/A LEDs to allow exacting control over the color temperature of white light washes, making this fixture ideal for stage illumination. As with all LED-powered fixtures, it generates much less wasted heat than traditional stage lighting that utilizes filament lamps. This helps to keep the temperature down on stage, making for a more comfortable experience for performers. 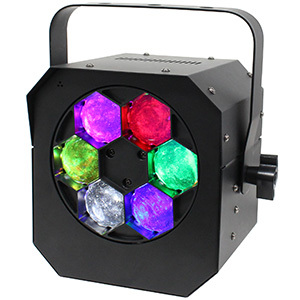 Finally, at the top of the range is the MOD HEX100 which features seven 15-Watt 6-in-1 RGBWA+UV LEDs allowing for an extended gamut of colors including both cool and warm white. 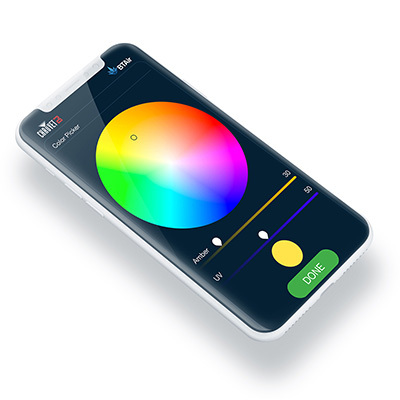 The inclusion of the UV element also means that the fixture can create a classic ‘UV glow’ effect when used alone as well as exciting UV-infused colors – such as hot pinks, lime greens and electric blues – when combined with the other LED elements. All four models feature the same flexible scissor yoke which consists of two separate brackets held together by a pair of thumbscrews. These can either slide together and lock into place to create a single hanging bracket or slide apart to create a variable-angle floor stand. This makes the MOD Series pars flexible fixtures that can be used for venue up-lighting, stage down-lighting and many other applications. Each fixture is also supplied with three interchangeable frost filters. These can be used to expand the standard beam angle of 17-degrees up to 20, 40 or 60-degrees, as required. 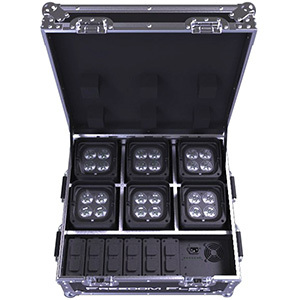 The lenses are quick and easy to fit, secured in place with four convenient thumbscrews (supplied), and mean that the same fixtures can be used to create narrow shafts or broad washes of light depending on the requirements of a given event. In addition, a set of black metal barn doors is also available as an optional extra, offering even more flexibility. 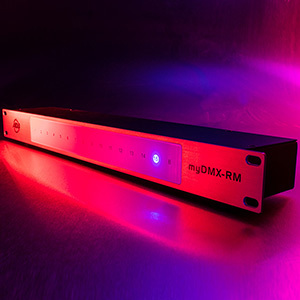 A choice of six different operational modes make the MOD Series ideal for all kinds of lighting installations – both permanent and temporary – covering the whole spectrum from standalone operation to full DMX control. A 16-segment backlit LED display on the rear of each fixture makes mode selection simple, while 64 built-in color macros make it easy to select popular colors and hues. Multiple fixtures can also be linked together for synchronized master/slave operation and an IR sensor allows remote control using either the ADJ Airstream IR app or UC IR controller (sold separately), which provide alternatives to standard DMX control. The MOD Series pars are professional-caliber fixtures and feature both 3-pin and 5-pin XLR input and output sockets to allow easy integration into any DMX lighting system. Locking powerCON mains input and output connections are also included, allowing multiple fixtures to be connected to one power supply. Compact dimensions of 174 x 204 x 235mm (LxWxH) mean that the MOD Series pars will fit into small spaces, providing unobtrusive yet powerful illumination wherever it is required. 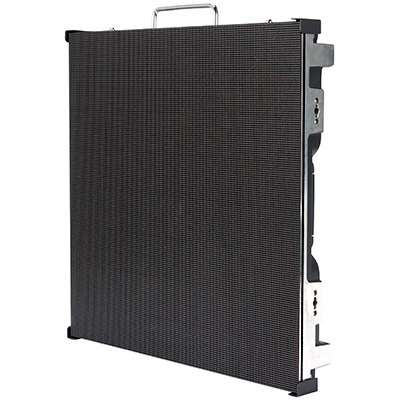 And, with a weight of just 2.6 kg., the fixtures are ideal for one-off events and mobile lighting setups that need to be easily transported.